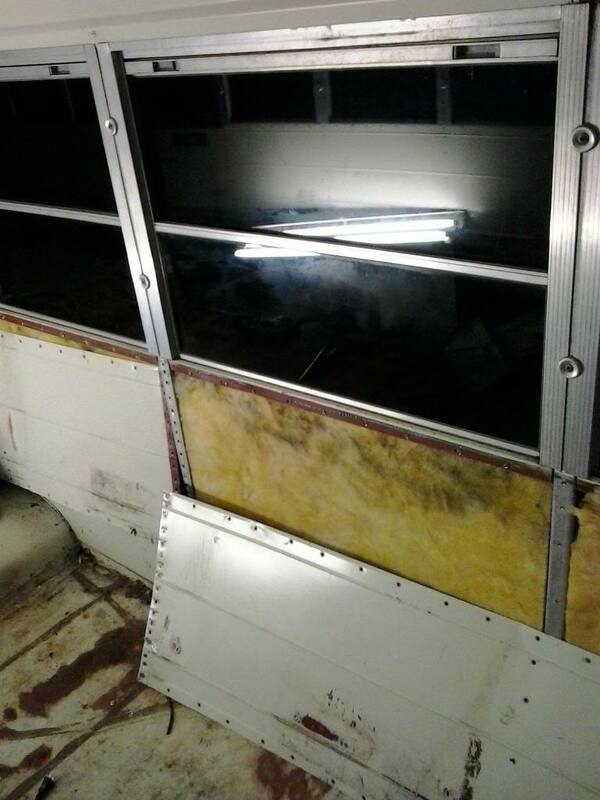 My and my friend (17 and 18 years old) decided that removing the old roof and sides would take away too much of the bus' character, so were just cleaning the roof, and putting wooden paneling on the sides on top of the existing metal. It looks just fine, but I can't speak for how well it insulates, because we live in Florida where its rarely cold enough to matter. I tried to attach a picture of our interior, were not near finished though. That tool looks similar but as I recall the one I owned had a collet around the shaver part that fit over the rivet and kept it centered and limited the depth of the cut. I also recall that it wasn't cheap, but after screwing up a lot of important skin I bit the bullet. Important if you plan on re-riveting. You want to keep it simple, get a 1" cold chisel with a hand guard and a 4 pound hammer. Your young and full of energy. The exercise will be good for you. I'm 31 and can blast them off with 2 swings. The hammer will also help keep your Dad at a distance. In my opinion, the hammer and chisel is far safer then anything that makes sparks, or metal shards. After all, you will be working over your head, and safety glasses only do so much. I have taken apart 2 buses this way. Not for lack of tools, I have almost every tool you can think of. I've worked with metal and rivits and spot welds for more than fifty years and while you can use a hammer and chisel it is a whole lot safer and quicker to let the electrons do the work using a proper cut off tool (like Tango suggested). Sure , it is cheaper to go the bludgeon method but one false swing and it will take weeks (or longer) for you to get back in the action. Different Rivets in different buses? Sounds like some are softer, or not the right cutting edge, poor chisel steel. The rivets that don't have enough steel behind to be solid when you strike them with the chisel, I pre drill first. A 3|16" cobalt drill bit drilled to a depth just about a deep as the rivet head is thick. That way if your off center a bit when you drill, you won't wreck the hole below. This method, the head chisels off almost effortlessly. My favorite big flat chisel is made of chrome moly with a 4.5 inch in diameter hand guard. No chance of hurting your self if you have skilled hands that use tools daily. lestock-kay Try resharpening your chisel, and get a way bigger hammer. Makes all the difference. Less than 2.5 pounds is just a joke for this application. Bring it out here to Alberta, and I will help you build it. Two people, with the tools I have, we could build almost any bus in under a month. I'm currently building a 92 TC2000. Building two buses is twice the fun. No pics of mine till its done. I sharpened the chisel before I started and I got a great big hammer. I found out there are two main types of rivets in the bus. I found a drill bit that makes the little ones pop off in a matter of seconds. Then there's some great big ugly ones. Those I have found best to slice down the middle with a zip disc and then take the chisel to them. Still a pain though. 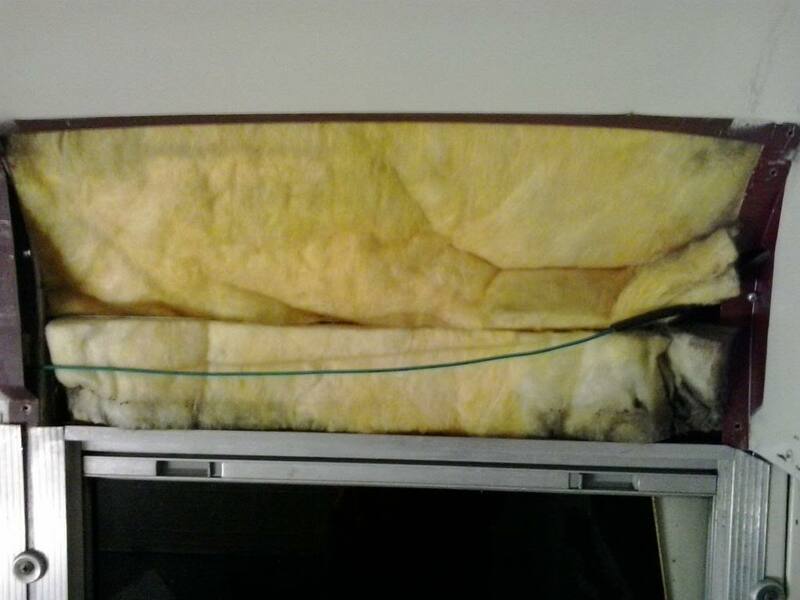 The insulation actually loos really good, I am tempted to re use it. I will still pull the rest out just to be sure but i like what I am seeing so far. Would the good folks here recommend treating the wall with anything to keep moisture out before I seal it all back up? Sealing the water out needs to be done with a elastomeric RV paint from the outside. Spray foam insulation from the inside for a proper thermal break. Whats your budget? Hard to suggest direction to take without knowing the budget. Ridged Styrofoam is half the cost of spray foam, but don't work quite as well. That yellow fiberglass crap you pulled out is realy useless, and has no place in a automobile. We spray foam oilfield tanks with 2" to replace 6" of batt type insulation. R Values don't do spray foam justice. How long is your bus inside? Do you have a 5.9 Cummins under the hood? I have a spare hood for you or anyone close enough. I don't need it as my B700 is a cab over now. Well nothing too exciting going on at the moment. All the old insulation is out and the bus is finally clean again. There is a bottom panel running the length of the bus (about one foot tall) that is actually welded directly to the bus. I tried to pull one section off just to get a feel of what is required and it is no easy job. I can see right to the bottom and everything looks fine so at this point I am thinking of leaving those panels on and just sliding the insulation in. No real necessary reason to pull them. Aside from that I am just really welding holes in the floor. Not sure how far I want to take that or if I should just use some sort of product to seal the little nail holes. Soon I will be welding the wheelchair entrance door shut. Ill post pictures once something more exciting comes up.